Many of you in the Personal Finance blog world will recognise the phrase ‘Fat Guy Skinny Wallet’. But what about ‘Skinny Guy Fat Wallet’? 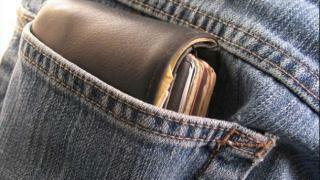 Are you a victim of the Fat Wallet Bulge? Or do you have a friend who is? Well if you are then now is the time to take some action by following some simple steps to Beat the Bulge! I recently stumbled upon the following infographic created by Nigel O’Hara which goes through a few essential steps every victim of a bulging wallet should follow, and I don’t mean bulging with cash either. After going through the infographic I decided to have a root through my own wallet and I couldn’t believe the junk I had in there, much of the rubbish mentioned in the infographic really. Old out of date cards, receipts and cards I never use were among just some of the pointless things which just had to go. After having a wallet clear out I’ve also decided that a new, less battered wallet is now well and truly overdue! So there we have it, some simple but effective tips to help you beat the wallet bulge. I think that most of us fall victim to at least one of these wallet bulging habits and every now and then it makes sense to have a good clear-out to slim down that wallet. I especially liked the tip about photographing important receipts and emailing them to yourself, have you done this in the past? Also removing credit cards from your wallet that don’t get used regularly and that you don’t churn can also be a great idea simply to remove temptation if nothing else.